Serve your customers dishes made with smoked meats from Tiede Farms Smokehouse, LLC. We are a family-owned-and-operated business located in Center Barnstead, New Hampshire. Our USDA custom exempt smoking company has been in the industry for more than 22 years, serving local farmers in most states in New England. We provide custom and USDA smoking for individuals, restaurants, and catering buses. Our products are inclusive of various types of sausages, bacon, hams, cheeses, and smoked meats. We take orders over the phone and let you know when they are available for pickup. We also go to the farmers’ market. From the start of our business, we’ve always believed in doing things the way we want to: with hard work, integrity, and respect. We are passionate about doing what is right. Our company does more than providing smoked and fresh meats. We always show how much we value our employees, customers, and the community we call home. Whenever possible, we put our principles to work by connecting with local farmers and our community that have welcomed and supported us for more than 22 years. We consider ourselves truly blessed that we get to do what we love every day. 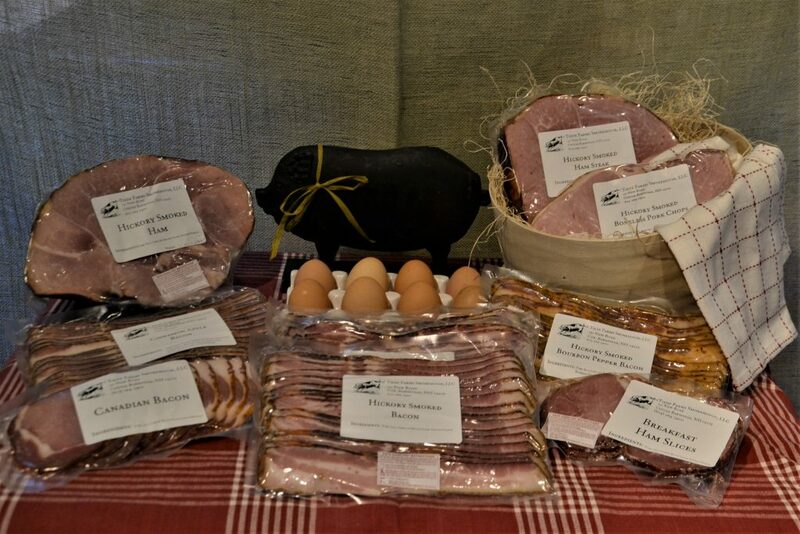 We have been providing top-quality smoking, smoked meats, and cheeses for local farmers and our loyal customers. In line with that, we also get to work toward sustainability and supporting the local economy. We use the highest quality of pork, beef, and cheeses — all hand-trimmed to make our signature hickory smoked bacon, sausages, snack sticks, beef jerky, and smoked cheeses. We truly believe that when we use the best possible ingredients, it allows our smokehouse to carry on the same family traditions and the values we hold closely. At Tiede Farms Smokehouse, LLC. Tiede Farms Smokehouse, LLC also offers catering services from our sister company, Farmhouse Country Catering, LLC. Specializing in BBQ and pig roasts, as well as traditional style catering, we will prepare for you a delicious home cooked menu for your event. Whether a backyard BBQ, formal or country wedding, rehearsal dinner, graduation, birthday, retirement, or any other occasion, you can trust us to make your event memorable. We offer on-site full service catering with a mobile kitchen, as well as drop-off and pickup catering. Please call us and we will send you a copy of our menus and services.